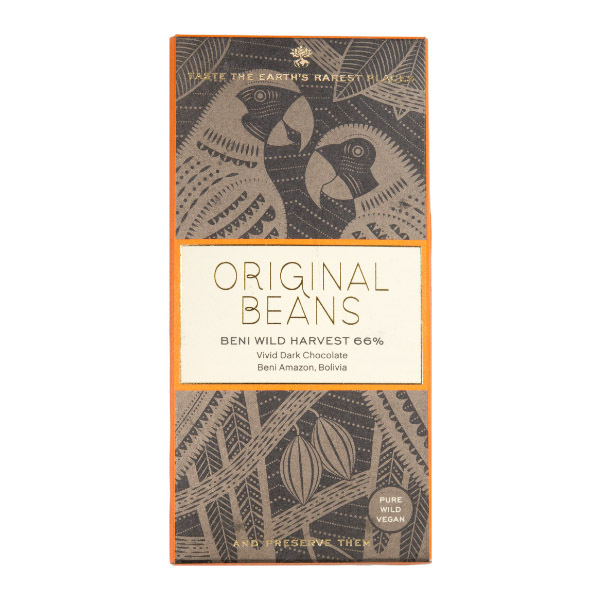 The Original Beans Beni Wild Harvest is a sweet, delicate dark chocolate with a fascinating story. 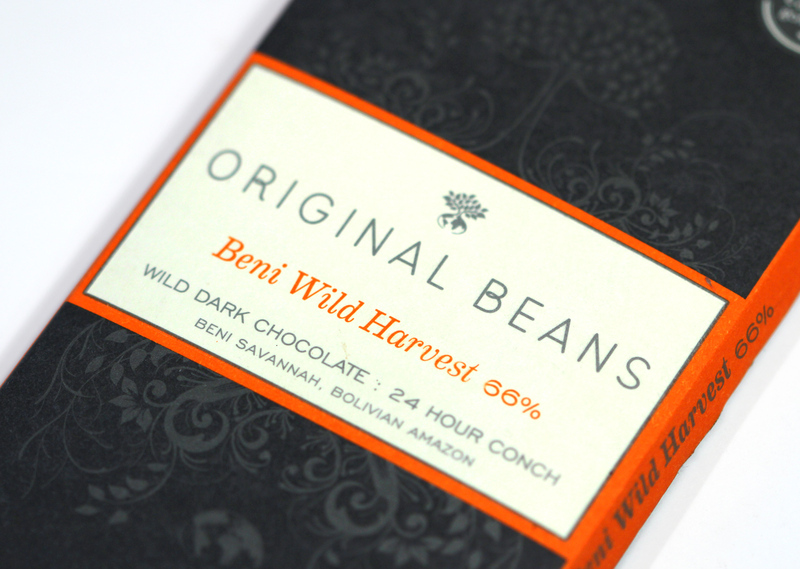 While most of the world’s cocoa is cultivated on family run farms and smallholdings, this chocolate is made from beans that grow wild on cocoa islands called “chocolatales” in the Beni province of northeastern Bolivia. The wild cocoa beans are small in size but big on flavour. With natural flavour notes of tropical fruits, honey and orange, this is a chocolate we think everyone will enjoy. Original Beans founder Phillip Kauffmann is passionate about sustainability and conservation. So much so that for every bar sold, they plant a tree in the Bolivian rainforest. And yes, that includes your bar. 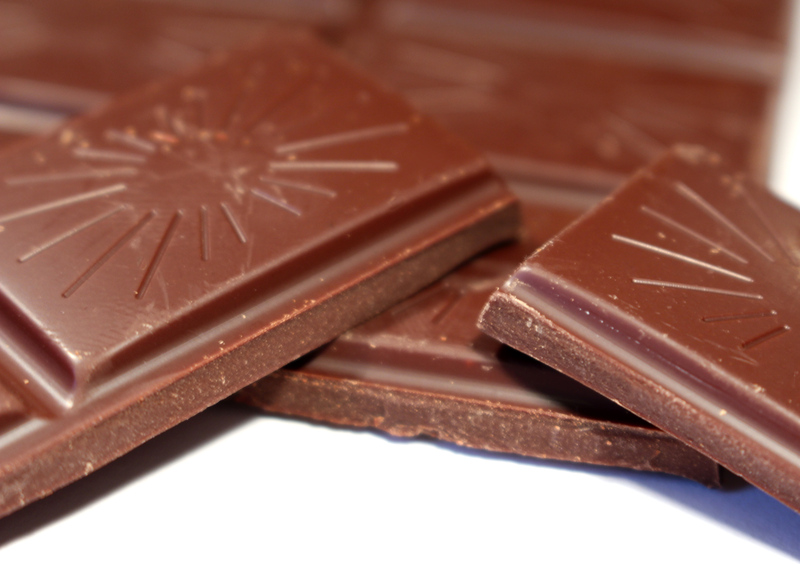 A perfectly balanced, deliciously flavoured chocolate. I normally prefer chocolate with a 75% plus cocoa content but I make an exception for this excellent bar. I have never had the pleasure/ignominy (delete as appropriate) of sleeping in a bed made up with silk sheets. My opinion of this bar is that it must be like sliding between silk sheets after a long day at work with a crushing hangover. I therefore recommend. Heavy citrus notes, slightly burnt. The wife and I were both big fans of this one. Our first bar from this service, definitely a winner. my favorite bar from my last box, great texture and taste. subtly sweet and floral. Loved this bar - perfectly balanced. Delicious! It has nice aroma. The flavour is sweet but still packs some flavour for a 66%. It has a smooth texture. Not bad, but for me it is a little too sweet. This is the first bar that I have tasted from your club. It was amazing! I was expecting something rather bitter but the taste was so smooth & palatable. Wow! My ratings are simply based on enjoyment, which is why they're probably going to hoover around the 4/5 (reflecting the quality level Cocoa Runners set their bar at). This Swiss beauty is expertly made: very finely tempered to give a good crisp snap and long slow melt. Luxurious smoothness with very elegant flavours. Crunchy red berries and blanched nut flavours mingle, lifted by a well balanced sweetness. Top quality stuff. Delicious and smooth, velvety and creamy. Slightly fruity but not overwhelming. Absolutely lovely. Very fruity bar with a mellow and slightly nutty finish. Nice smooth texture but a bit too sweet for me. No need to look far for exotic adjectives here. This for me is just the quintessence of dark chocolate, with a great texture to boot. A new favourite. Great texture and beautiful smooth taste, strong and dark. I don't eat lots of chocolate but this would make me... delish. This is the smoothest bar I've had. It feels like chocolate milk when it has melted, it's soooo smooth. The taste starts out very fruity and slightly acidic. As it melts further, a nutty components sneaks in, and at the end a sweetness surfaces, which lingers. The sweetness lingers a little too long, in my opinion. And it's a bit too sweet. But overall, the fruit and nut is delicious, as is the initial sweetness. In the mouth of a 72% cocoa solids snob (me) this bar actually fared rather well. Its initial scent has faint echoes of 'wine' and its snap means business. The between-the-molars crunch is fantastic with no graininess or premature softening. Its melt is completely creamy. The foretaste is mango (ish..very light) with a bit of prune. The after-flavour is roasted hazelnut, according to my palate. I kept waiting for it to morph into a full bodied cacao machine, but at 66% it didn't happen. So what? We all need a bit of a caress from time to time. The honey sweetness that remains after eating, I could do without to quite the extent this bar delivers but hey! I 'm well aware of the demands my tongue makes of me on the sweet v bitter debate, and would definitely occasionally override those demands to eat another bar of this. Rated as a stand alone taste, this would get a four star. However, in direct comparison with a bigger hitter on the cacao front, it would end up with a three from me. I'd take this bar on a long, boring train journey in the rain, when the buffet car is closed and all you need is some lurve. Loved this. Deliciously smooth and with a lovely balance of sweet fruit and citrus. This is lovely. A really silky texture, citrusy sweet and smooth. Love this one. So silky and citrusy. This is a good dark chocolate with strong honey flavours but perhaps too flavoured for me and not enough chocolates. Very smooth but it doesn't really leave me wanting more. Phenomenal snap, just the sound can make the mouth water. Definitely fruity and smooth but one star deducted for the slight bitter aftertaste. Both my chocolate eating partner and I absolutely loved this bar! It had complex tastes without cluttering up the palate and combined a little added sweetness with the raw power of the cacao bean to give it lovely overall flavour. Also the snap and shine gave a little bounce of excitement before I had even taken one bite. This was nicely balanced: intense chocolate flavour without too much bitterness. A texture you would expect from the conching kings of chocolate. Melts wonderfully, fruity yes, citrus fruit yes but didn't pick out orange in particular as the card suggests. there is a very subtle honey like sweetness however. I enjoyed this bar but wouldn't buy this one again. This was the first bar I opened from my first subscription box. And in a somewhat shameless attempt to get free chocolate by coercing others to join up, I shared it with some of my colleagues in the office. The bar garnered unanimous praise, everyone who tasted it commented that despite it's high cocoa content it lacked the astringency they expected. Furthermore it's deep rich chocolate flavour lingers nicely on the tongue with floral honey-like overtones. A truly delicious chocolate, highly recommended by the entire team. This is the last dark bar I tasted in my box collection. I give it four stars for the sheer texture - which is sublime - a very good Melt.